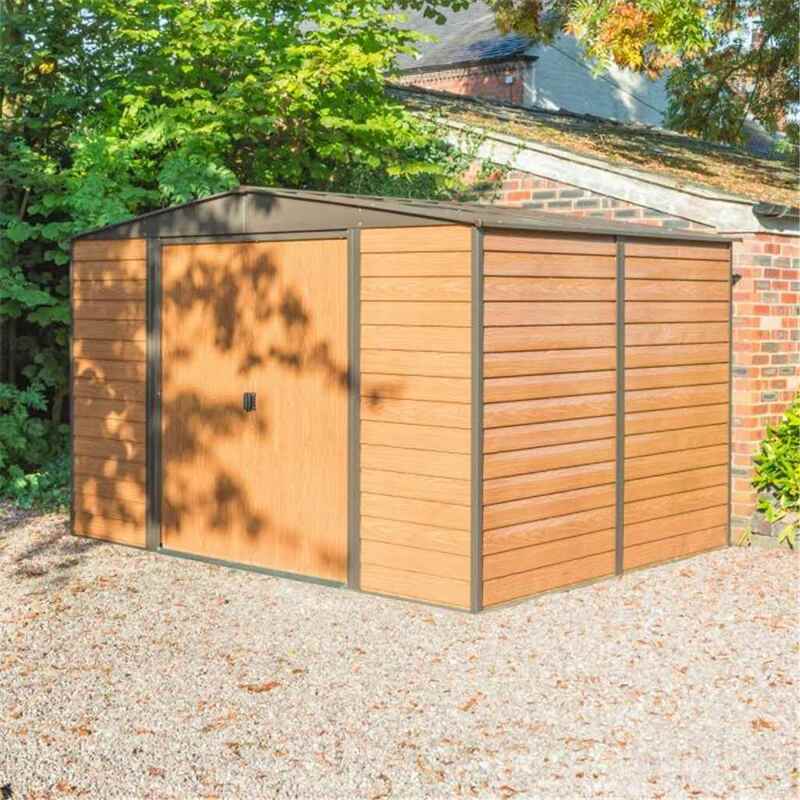 The Woodvale Metal shed comes with double lockable sliding doors (please note the metal shed does not come with a padlock - this needs to be purchase separately) for easy access, making this an ideal storage solution for your garden and one of our best selling sheds. The shed is delivered in pre-assembled panels. It has been described as the easiest range to assemble on the market - instructions are also included. Due to the ultra tough BlueScope Steel construction they do not have the weathering issues that come with many other products. The Apex roof, water is diverted away from the building thus avoiding puddles gathering at the base and causing internal damp problems. It also allows more height internally for taller items. All metal sheds and storage must be erected on a firm, level (preferably concrete) base and unless stated will not come with floor panels as standard. 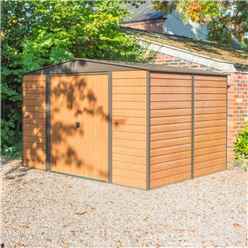 You will need to purchase an anchor kit from a local DIY shop to secure your metal shed to the concrete base.